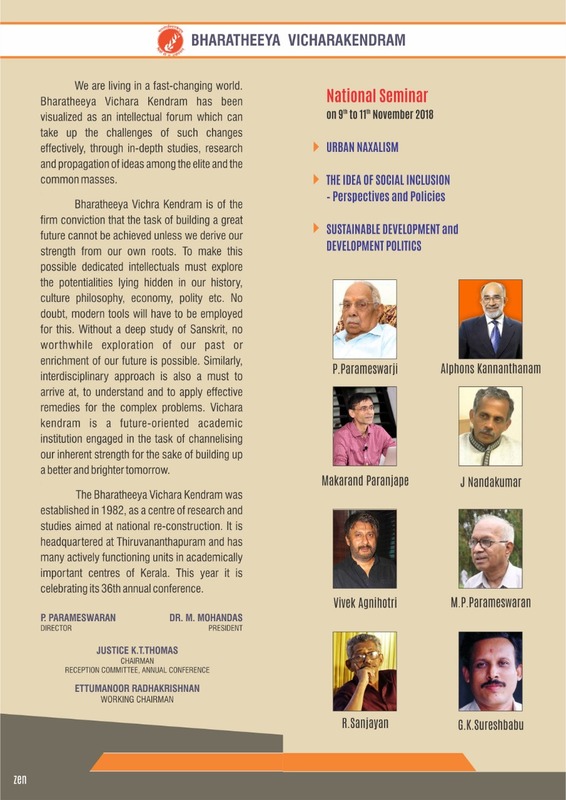 THIRUVANANTHAPURAM: Padma Vibhushan, the second highest civilian award, is yet another major recognition for P Parameswaran, the founder director of Bharatheeya Vichara Kendra, who has contributed greatly in the fields of politics and social thought. The senior-most pracharak of RSS from Kerala, Parameswaran, is a scholar and visionary held in high esteem even by political opponents for his fight for freedom of speech, especially during the Emergency, and for his insights and clarity of expression. One of the founder members of the International Forum for Indias Heritage (IFIH), he is considered as an authority in ancient Indian wisdom. Considering his enthusiasm and efforts to reconstruct India based on the traditional wisdom, the country honoured him with Padma Shri in 2004. Among other awards that came his way include Hanuman Prasad Poddar Award, Kolkata, in 1997, Amrita Keerti Puraskaram instituted by Mata Amritanandamayi Math in 2002 and the Hindu Renaissance Award in 2010. A prolific writer, the RSS ideologue's books include a rare expedition into the life and works of Swami Vivekananda and Karl Marx titled 'Marx and Vivekananda', 'Aurobindo, the prophet of future,' 'Sri Narayana Guru, the prophet of renaissance' and 'The changing society & changeless values'. These works reveal his deep-rooted stature in the national consciousness and commitment to the cause of national reconstruction. In 1998, as an answer to the rising crime rate, delinquency and other social evils in Kerala, Parameswaran proposed observation of a Gita decade. Popularizing the Bhagavad Gita as a comprehensive life science was his solution to the social problems of Kerala and the whole of India. Born in Cherthala village, Alappuzha, in the year 1927, Parameswaran, after schooling, continued his studies at SB College, Changanassery and graduated with distinction in BA (Hons) History from University College, Thiruvananthapuram. From early childhood, he had great inclination towards the study of Hinduism and was intimately connected with various Hindu social and cultural organizations. He came into contact with RSS during his student days and went on to become a disciple of Swami Agamananda. He became an RSS pracharak in 1950, as per the direction of M S Golwalkar who was the then sarsanghchalak. He served as organizing secretary of Bharatiya Jana Sangh in 1957 and in 1968, became all-India general secretary and later vice-president of the Jan Sangh. He was jailed during the Emergency. 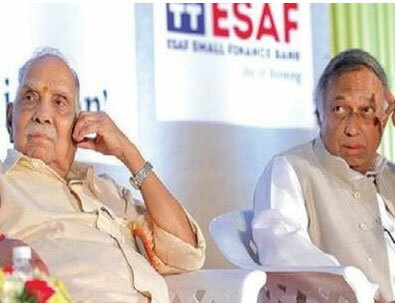 Parameswaran moved from politics to the sphere of social thought and development and worked as the director of New Delhi-based Deendayal Research Institute for four years. A bachelor, who doesnt have a house of his own, Parameswaran is residing in the Vichara Kendram headquarters in Thiruvananthapuram.